In this blog, you are going to gain 11 strategies to be successful when you feel weighed down. I’m going to briefly cover my struggle of the past year for me and what helped me be successful despite the issues I was dealing with in 2018. Listen to my video or read through my list below. Number One: Tackling Health Issues. Basically, I felt like crap for 90 percent of the year. That created a challenging year for me. Allow me to be super vulnerable with you. Because of my physical challenges, I’ve also been challenged mentally and emotionally. Frankly, it got me a bit depressed at times. When you’re feeling down physically, it’s hard to feel up mentally, right? And then I had all the chaos of life and the pressures we all deal with and on top of that; it adds up on you. But fortunately, here’s the good news. Despite that struggle, I’ve had by all measures one of the most successful years of my life in many ways. I won’t go through all the metrics, but from a financial standpoint my business has grown over last year from top line sales to bottom line profit. In addition to that, even more important to me, is that I was actually able to spend more quality time with my loved ones this year. It’s crazy, but I pulled this off in the middle of feeling really rough and not being at my best. It forced me to really pull back and look at the most essential items to really focus on so that I could make it through. I never would have believed that I would have the year I’ve had, feeling the way I have felt. Nobody likes to hear you whine about your health issues, and I get that. But when you say, “Hey, you know the stuff I’m dealing with, I just want to put it out there and just let you know. Thanks for just listening.” You can share it in a way that’s not whining and not a burden on other people. That’s one of the fundamental things I see with a lot of people. Especially high achievers like yourself often don’t reach out and get the help they need. Number Two: Building Core Habits. 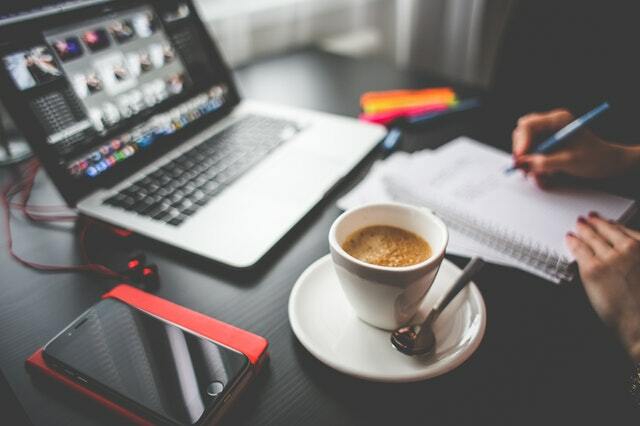 What I noticed when I looked back and reflected on my year, some of the most challenging days were the days in which I actually was the most productive. These were days when I physically and mentally did not feel normal. So imagine you had the flu and you just crashed. You feel like you’ve been run over by a car and your energy and mental focus are way down. Now, imagine feeling like that and then still having a really effective and productive day. The tactical trick is to use a habit-tracking app. I use one called Streaks, it’s on iOS, and there are other great ones on Android as well. Even on down days I could rank order the most essential things that I needed to get done in a day. For more details on habit-tracking apps, check out my previous blog. But that simple tactical tool was absolutely fundamental. The pursuit of meditation is strengthening the muscle of being aware that you’re distracted and refocusing on the task at hand. If you haven’t tried it already, Headspace is a good app. 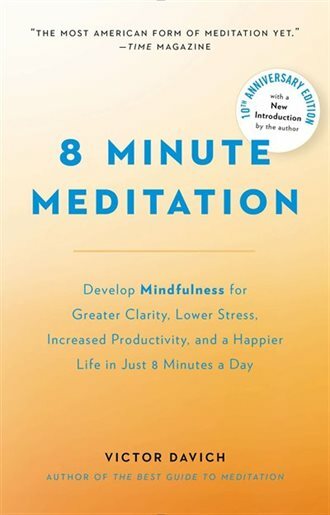 I also recommend a great resource book titled 8 Minute Meditation. Some scoff at meditation as weird, but research backs up that it can be very practical. Just try dipping your toe into meditation. Many high achievers have credited meditation as being one the most important keys to their success. The habit of consistently investing time in meditation has paid off in huge dividends for me in a tremendous way. I’m a musician, as many of you know, and have been one since I was a little boy. I love music and used to listen to it all the time. It’s funny. I’m my own boss and so relentless, I never let myself play my guitar. I haven’t been listening to music. Recently I would rather listen to my last speech or focus on some personal and professional development that’s going to help me be more valuable for you. Now I listen to music again. What’s your favorite music? There are so many studies about how music renews and restores us. Music is just magic. Whatever kind of music you like that lights you up, listen to more of that music. This is so simple, but an easy idea that could start to make a difference for you right away. Number Five: Using Caffeine Wisely. I drink more bulletproof coffee and tea. I want to be smart about getting the energy I need to push through the day and not being restless in my sleep. Bulletproof coffee is something I’ve talked about in some of my programs. If you don’t drink caffeine, consider some drink or some kind of nutritional boost. Ideally it will really get your energy going early in the day or when you’re in a slump, without keeping you up late at night. I take a lot of different supplements and I do a lot of experimentation with supplements. I try to keep my peak performance energy up and really be in focus. This has been incredibly important this year, especially with the challenges I’ve had with my energy. Of all those that I’ve tested, the one that consistently stayed in the program for years and years is a B complex supplement. There are a lot of good ones out there. Here is one you may have heard of: Emergen-C. Those little packets work effectively for me. My mother introduced them to me and I have been using them for more than 20 years. Number Seven: Doing Micro Exercise. I am really lazy with exercise. Everybody thinks because I climb mountains and I am thin, then I must be an exercise freak. But I am not. I don’t really inherently enjoy aerobic activity or any exercise for that matter. What I’ve done on those days when I didn’t feel good, I would dial down the amount of exercise. Some days it would be hard to even call it exercise. I call it micro exercise. The point is to reduce it to just a minimal small amount that you can’t lie to yourself that you are too busy. No matter how bad I feel or how busy I am, I can get five minutes in or give 10 push-ups in or whatever. The small amount won’t revolutionize your health. But it’s going to help you get the habit installed. Maybe it’s just a walk with your animal or your loved one. Make exercising, even for just a micro amount, a habit. In the heat of me feeling not well, I still took a couple of trips with my family. One was a weekend trip and then we did our longer camping trip as usual. We did that even though I didn’t really feel like it and I was concerned about spending the money. I have college educations to pay for coming up so I have solid reasons not to spend money. But I always believe that spending money on experiences is important and it doesn’t have to be some fancy vacation. 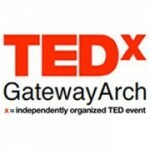 So many of my meaningful experiences are in a tent and just being connected as humans with people we care about. As another example, my wife and I have been better about date night too. 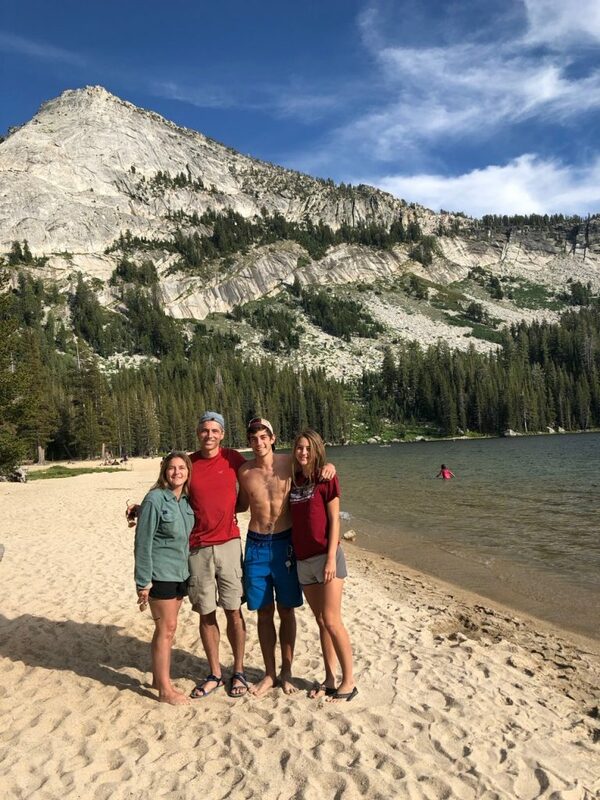 Re-up your commitment to little experiences, staycations, long weekends, and even full-blown vacations with the people you care most about. Number Nine: Journaling About Gratitude. Write down in a gratitude journal three things you’re grateful for in the morning, and three things you’re grateful for at night. That’s part of my daily journal. There are different pieces to your planner and journal, but gratitude is one the keys. This has made the biggest impact on my mood and trajectory. There’s a ton of research to support why this works so effectively. Number Ten: Writing Out Daily Plan. This is related to journaling. Recently online I saw someone taking flack for using a paper planner instead of an electronic business system. I am all for efficient technical solutions. That said, there’s a reason why a lot of high-performing people really believe in and found incredible results with writing out their plan for the day. Of course I use tactical tools such as MS Outlook, with its task reminders and project management prompts, to manage and to keep track of everything. But there’s something powerful about writing it out by hand. There’s much scientific research around why this connection between our hand and our brain is so powerful. 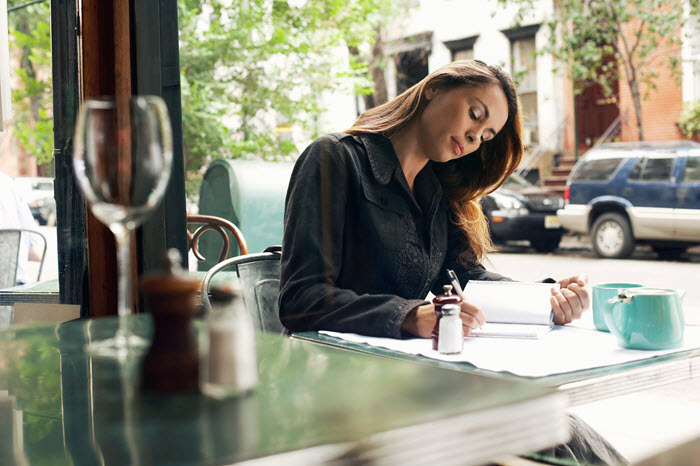 Writing out your daily plan of attack the night before is incredibly important, especially when you write the three most important things you want to accomplish. I always get more done and stay more focused throughout the day with a written plan of attack. It feels good at the end of the day to go back and check off items that were accomplished. Sure, it also feels good to check it off in electronic format, but there’s something satisfying about writing it down. This is a simple idea, and if you have done it in the past, I encourage you to recommit to doing it. Number Eleven: Getting On Belay. This ties back to number one and health. Being on belay is a mountain climbing term for securing a person to a safety rope or anchor. For me, it also means to build intentional, meaningful connections with your most important people who support you. In item number one about health I said to let people know, which is another way of saying be transparent. I did not want to go to lunch with a friend and drag them down with how I was not feeling well. As a result, I became reclusive. I found it challenging to reach out to people I know and trust, the kind of people who really care for me, and be transparent. How could they be on belay for me if I was out of touch? But I reversed that, although it was uncomfortable at times. I encourage you to do the same. Just a lunch, or phone call, zoom meeting or even a text message can make a big difference. Get on belay with the people you care about and who care about you. Number Twelve Bonus: Practicing the 80/20 Mindset. One idea that was core for getting through this year was mindset around The 80/20 Principle. This is something you are forced to do when you’re over pressured, have too much on your plate, or other stresses are challenging you. 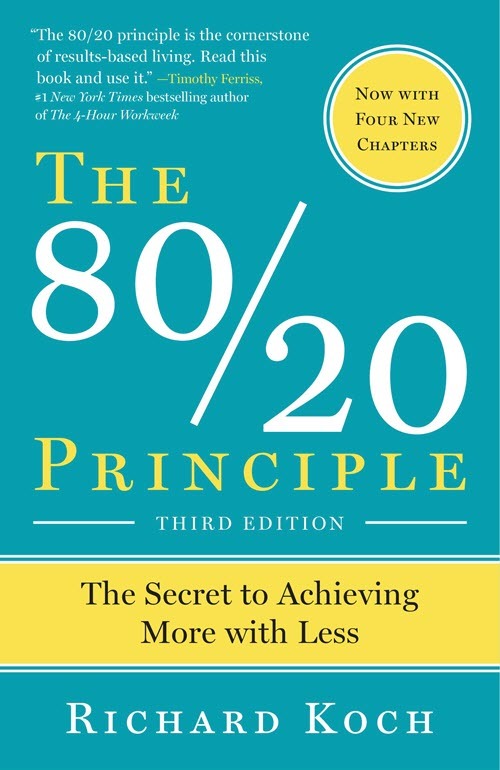 So fundamentally, I want to invite you to visit The 80/20 Principle as a resource. I hope this list has been helpful to you. If you got something going on, reach out to me privately or if you want to share it below in the comments something that’s helped you that you’d be comfortable sharing, I appreciate that. If you could share this with someone in your life that you think this would be helpful to in a meaningful anyway, I’d love for you to share it on social media or privately. 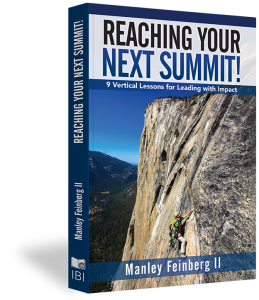 To learn more about my 9 Vertical Lessons for Leading with Impact check out my latest book Reaching Your Next Summit!